To support the continuation and restoration of Nepal’s vibrant cultural heritage, you may donate to the Himalayan Art and Cultural Heritage Project (registered jU.S. 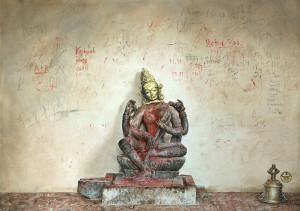 501c3 non-profit) which supports preservation and protection efforts of Nepal’s cultural heritage sites. Donations are tax-deductible. 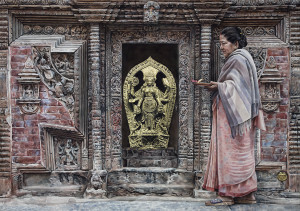 You can also donate to the Himalayan Art and Cultural Heritage Project by purchasing limited edition giclée prints of paintings by Joy Lynn Davis. 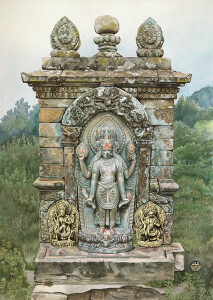 100% of the proceeds will go to the Himalayan Art and Cultural Heritage Project. H. To aid, work with, and partner with individuals, organizations, and public and private entities that share the goals of preserving and promoting awareness for the artistic and cultural heritage of the Himalayan region.